ALLMAX Liquid L-Carnitine is the most convenient and delicious way to get your pure L-Carnitine. ALLMAX is proud to provide the utmost in quality and purity with rapid delivery, rapid absorption Liquid L-Carnitine. ALLMAX uses cGMP manufacturing processes and employs the ALLMAX 5-Stage Quality Guarantee to provide you with the ultimate in purity, quality and effectiveness. 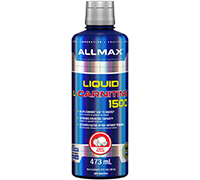 ALLMAX Liquid L-Carnitine provides 32 full servings per bottle while delivering 1,500 mg of L-Carnitine in each serving with 2 amazing flavors, Blue Raspberry and Fruit Punch. How do I take Liquid L-Carnitine? As a dietary supplement, one tablespoonful (15 ml) of Liquid L-Carnitine can be taken up to 2 times daily preferably on an empty stomach or as directed by a medical professional. On workout days, consume 30 to 60 minutes prior to training. On non-workout days, consume anytime throughout the day. Don’t forget to refrigerate after opening. Yes, ALLMAX has introduced a capsule form L-Carnitine L-Tartrate (LCLT) that provides 120 full servings per bottle while delivering 500 mg of L-Carnitine in each serving. 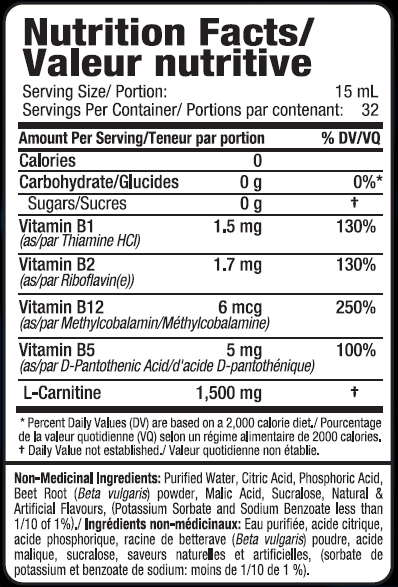 Liquid L-Carnitine is sweetened with Sucralose containing ZERO sugar, ZERO calories and ZERO carbs.